Chalet Les Rouses is set in a fantastic location on the Pied Moutet side of resort, just off the high street amongst the shops and bars of Les Deux Alpes. The chalet is only 200 metres (approx.) from the Vallée Blanche chairlift, which accesses the main ski area via a blue to the Petite Aiguille chair. Alternatively, the ski bus stop is a mere 50 metres (approx.) from the chalet, making access to the ski school and the main Jandri Express cable car quick and easy. Chalet Les Rouses is a beautiful, modern and traditional wood-clad chalet decorated to a high standard with parquet flooring in the bedrooms, tiled floors in the communal areas (with under floor heating) and wooden furnishings throughout. 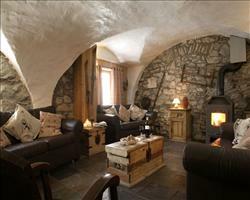 The open-plan lounge/dining area is spacious with plenty of comfortable seating around the wood burning stove. It also has the more modern luxuries of satellite TV and a DVD player. A lovely balcony runs the length of the chalet. All rooms have en suite facilities and rooms 6 and 8 have an extra single bed with half price places for children. 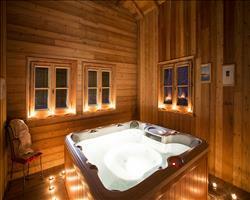 There is even a sauna to relax in after a day’s skiing. Room 6 and 8 when occupied by 3 adults deduct £3pp/pn. If the extra beds are occupied by a child aged 2-11 years they pay half the adult full price. We update Chalet Les Rouses's details often, but facilities do change. e.g. some extras listed by the supplier as "free" or included might only be for the first time you use them, or for one time per party, then charged for further use. If any specific feature is essential to your holiday, make sure you ask us to confirm the details of it before you book your holiday. This all inclusive holiday to Chalet Les Rouses in Les Deux Alpes, France departs Saturday 4th January 2020, for a 7 night stay on a "catered chalet" board basis. A local tourist tax (Taxe de Sejour or Kurtaxe) is levied by many councils in European ski resorts. It varies by standard and type of accommodation and is age dependent, so not everyone is charged. It's not included in the basic price of your holiday and is usually paid locally. For reference, the average charged in winter 15/16 was between 50p and £2 per person, per night. Gobsmacking views of Mont Blanc aren’t the only bonus of the glacier - this ‘upside down’ ski resort is one of the most snow sure in the Alps, so much so that you can ski here in the summertime. Much loved for its après ski, the town's main strip is bursting with some of the best bars in the mountains. Les Deux Alpes lift pass price last reported as €211 (adult 6 day). 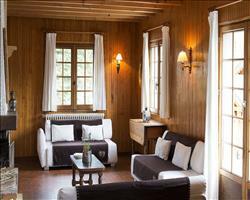 Ask for a quote when booking Chalet Les Rouses. Les Deux Alpes has S SW NW facing slopes. 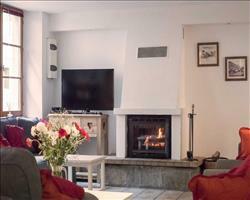 Chalet l’Olan Les Deux Alpes France, Gatwick to Grenoble 4th January. 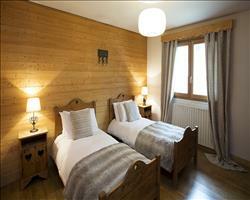 Chalet Alexandre Les Deux Alpes France, Gatwick to Grenoble 4th January. Chalet Ruby Les Deux Alpes France, Gatwick to Grenoble 4th January. 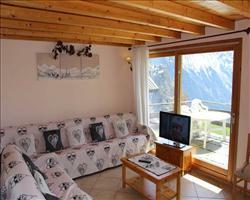 Chalet Gorges Les Deux Alpes France, Gatwick to Grenoble 4th January. Chalet Chartreuse Les Deux Alpes France, Gatwick to Grenoble 4th January. Chalet Chamois Vo... Les Deux Alpes France, Gatwick to Grenoble 4th January. Just come back from Chalet Les Rouses. Chalet hosts were great fun (Hayley, Grace & Ella), and they tried really hard to accommodate all requests. The chalet was very comfortable, although lounge seating area is not big enough to accommodate everyone, so first come first served! Rooms very comfortable - room 3 got bath, shower and a balcony which isn't fully explained on the website so a good room (probably the best in our view). Well worth a visit. "Top Chalet, can't fault it.................."
Great location, fabulous food and the staff very professional. Closest ski hire shop try "skimium" 29 avenue de muzelle only 10 yards away! Happy Holidays! "Too cool in two alpes"
A fresh take on the rustic chalet look, it is beautiful from the outside, but with a modern twist from the inside - the tiled flooring is lovely, and when the underfloor heating is functional it makes walking around in bare feet a god-send after a day crammed in plastic boots. Accessibility to the rest of the resort could not be easier, as it is placed right in the village centre. With the ski bus stopping just outside the chalet, and the piste a short two hundred yard walk away, you'll struggle to find a better base from which to enjoy this world-class resort and domaine.